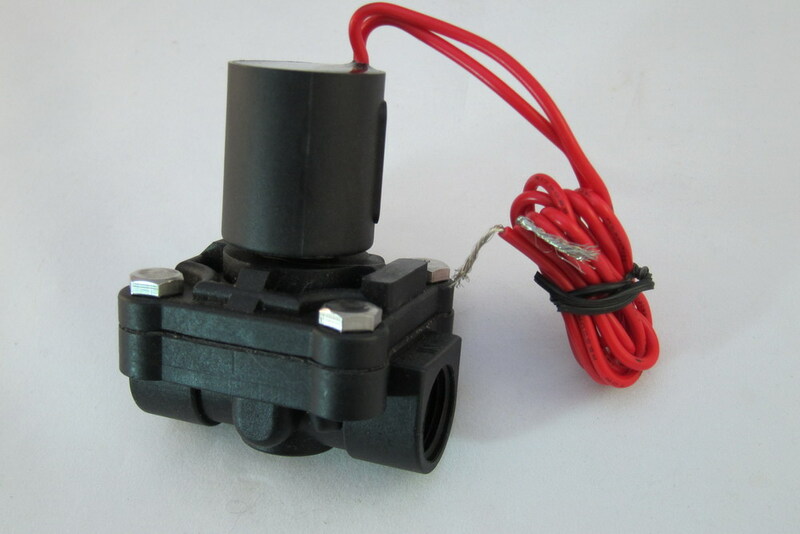 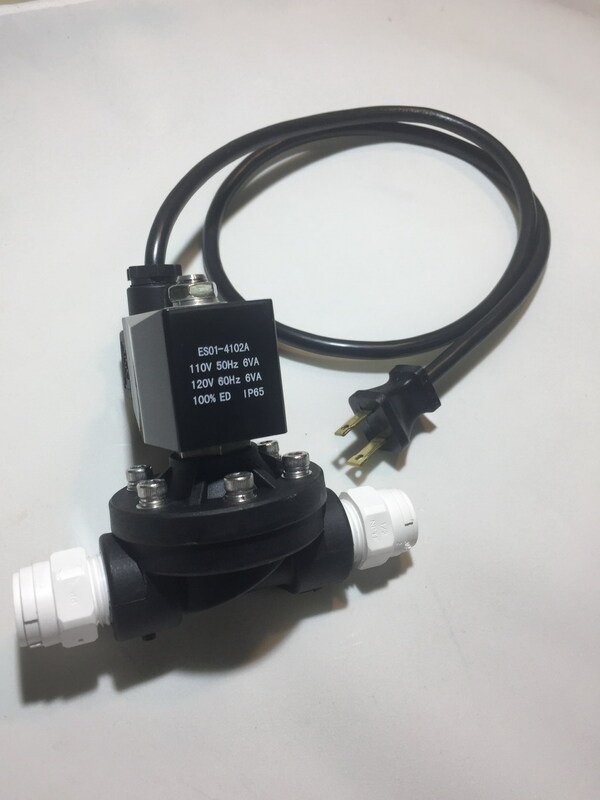 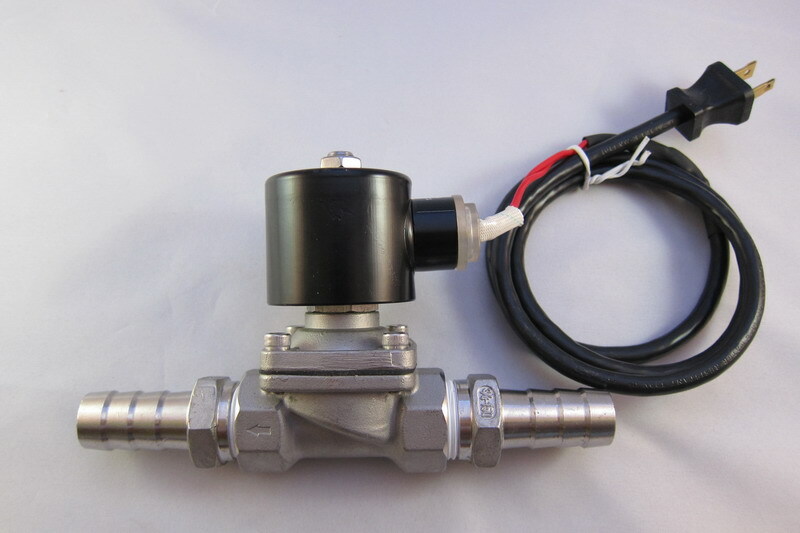 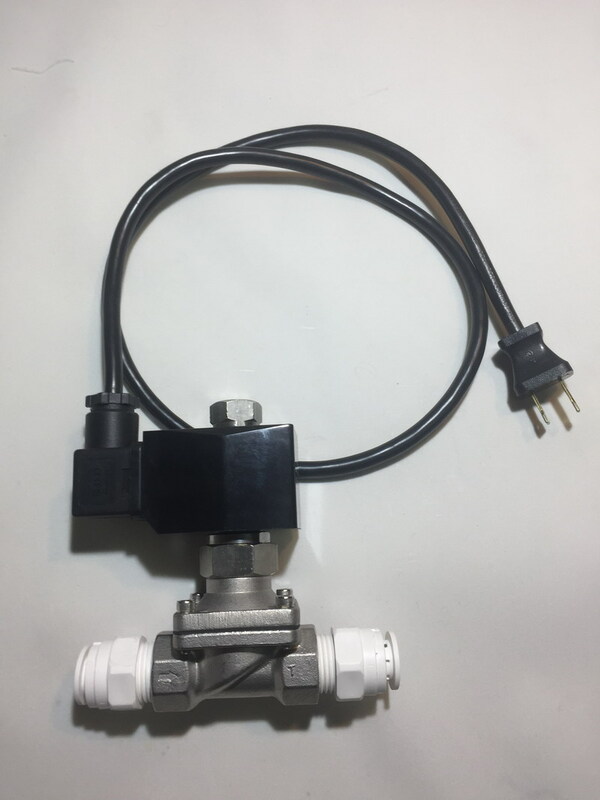 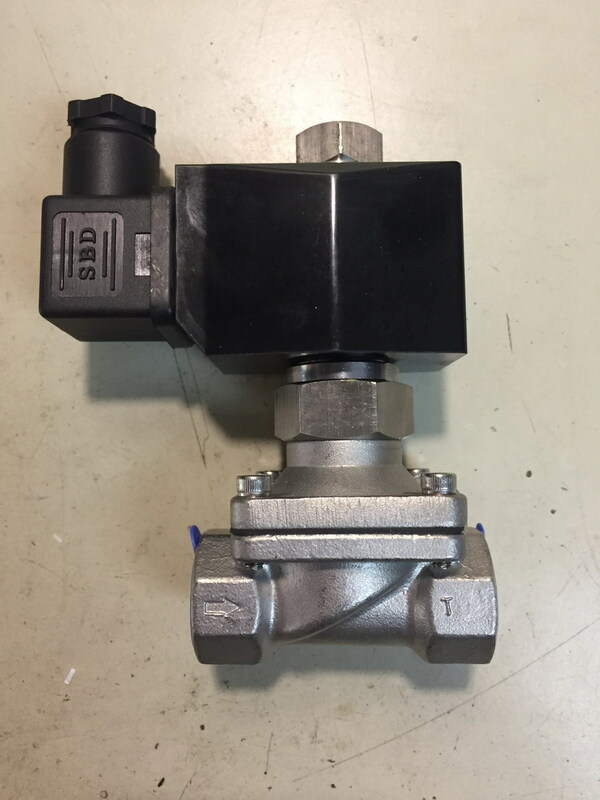 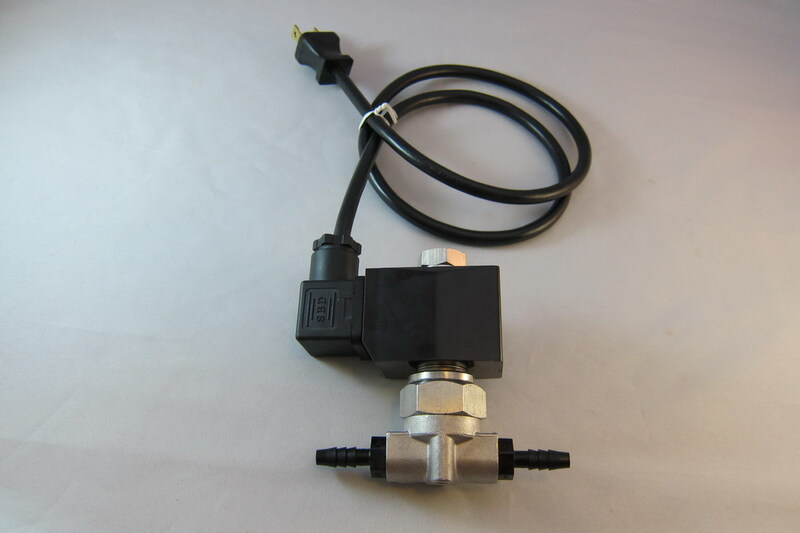 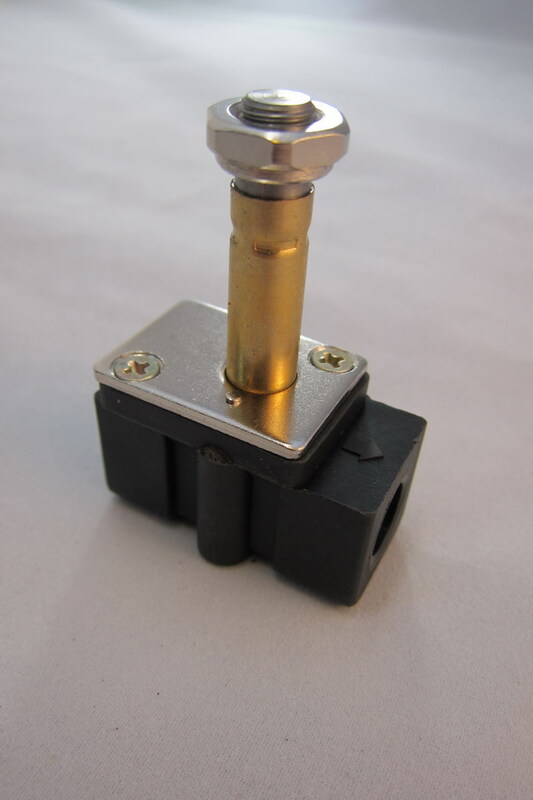 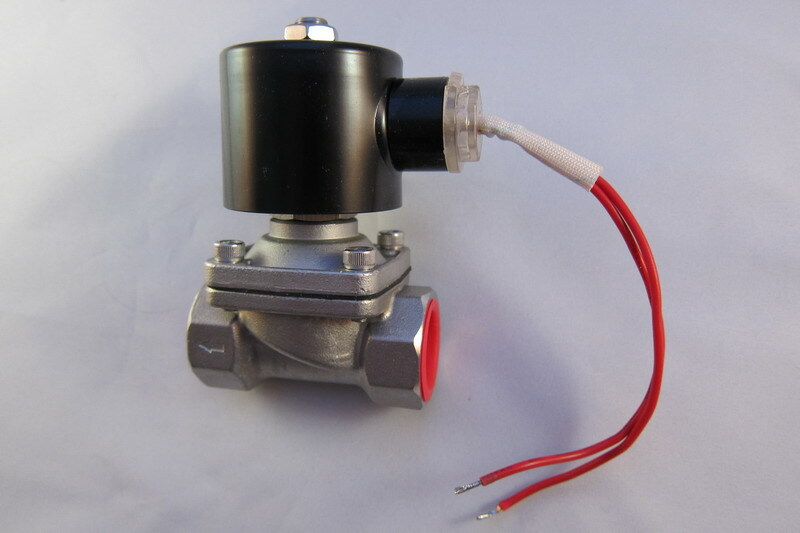 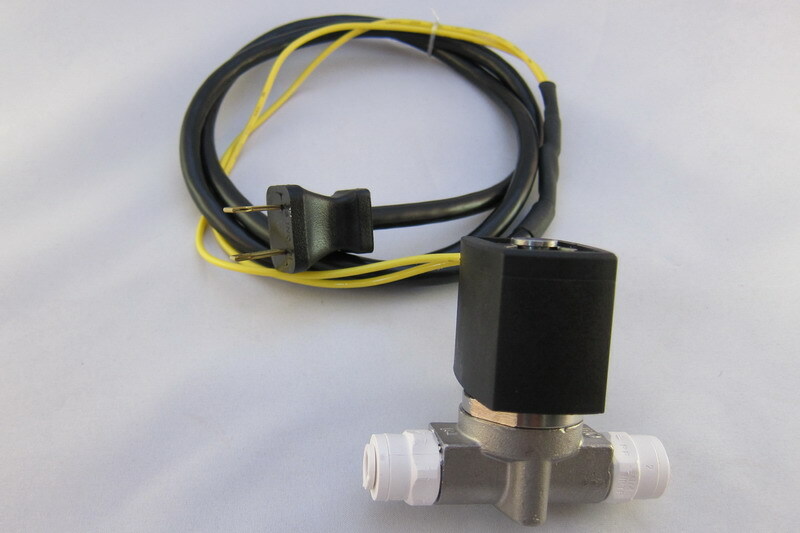 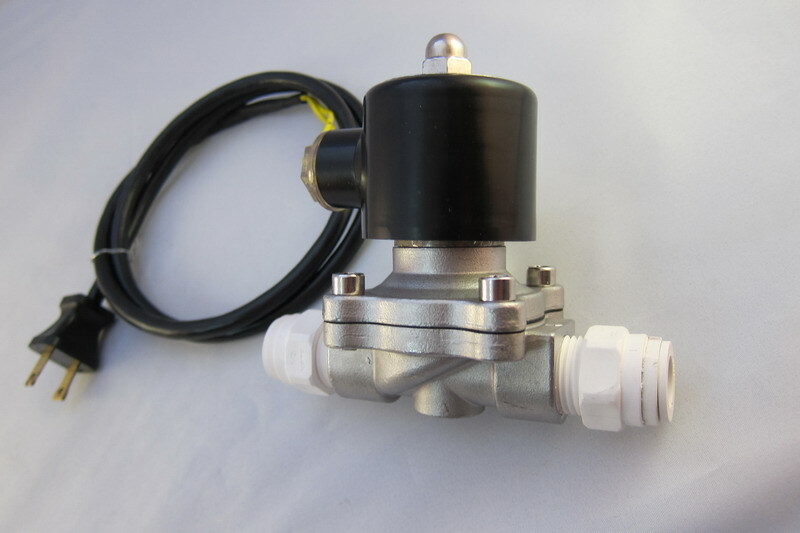 If you install the solenoid valve on your RO's output you will need an auto shutoff valve and check valve on your RO system to prevent it from generating wastewater when the solenoid is closed. 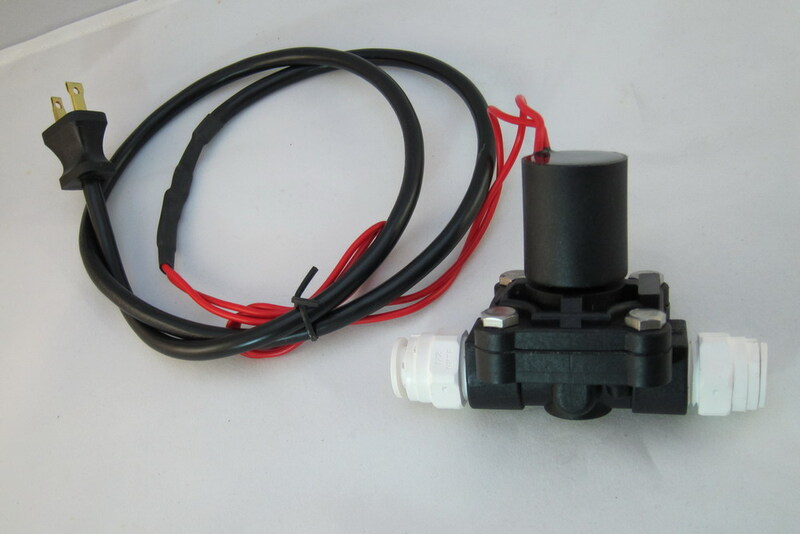 Direction matters! 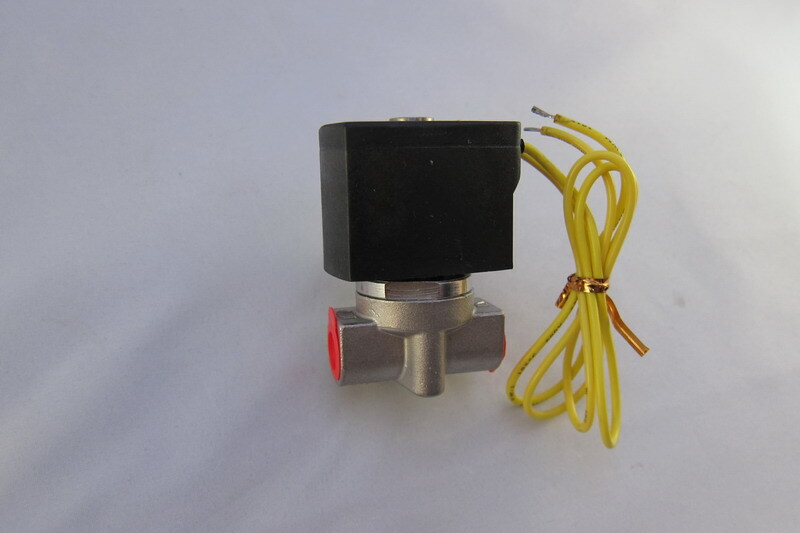 There is an indicator on all valves that shows the water flow direction. 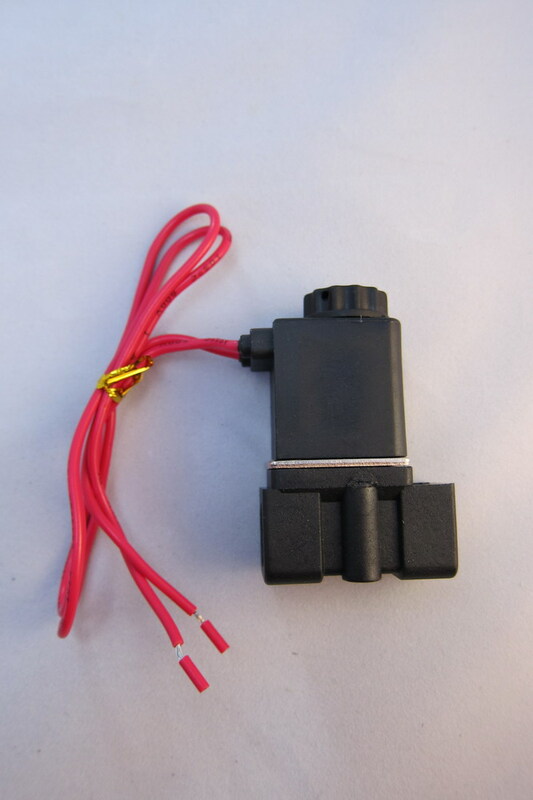 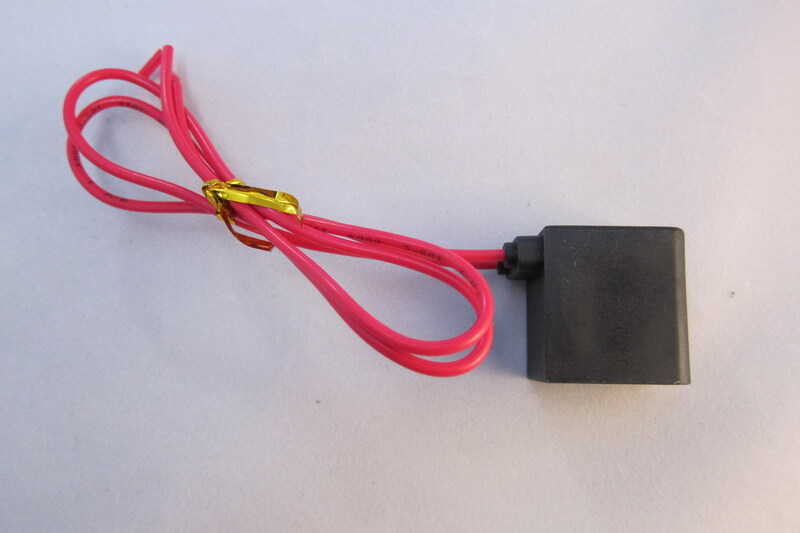 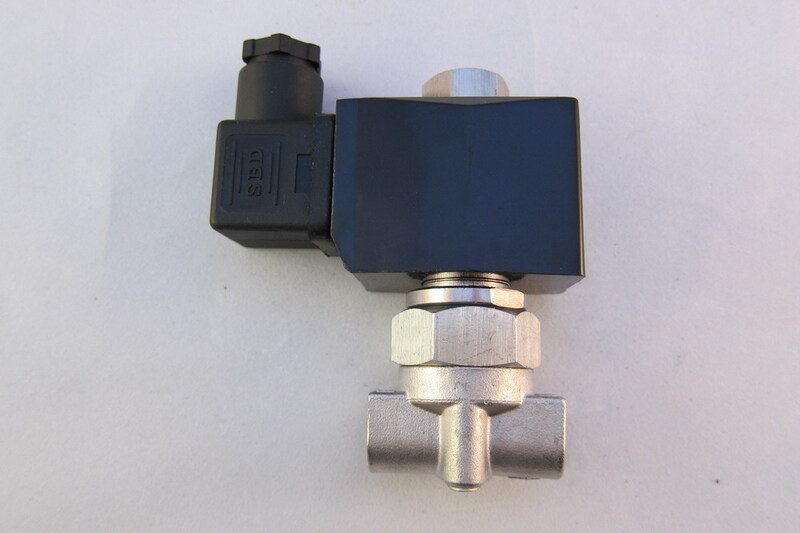 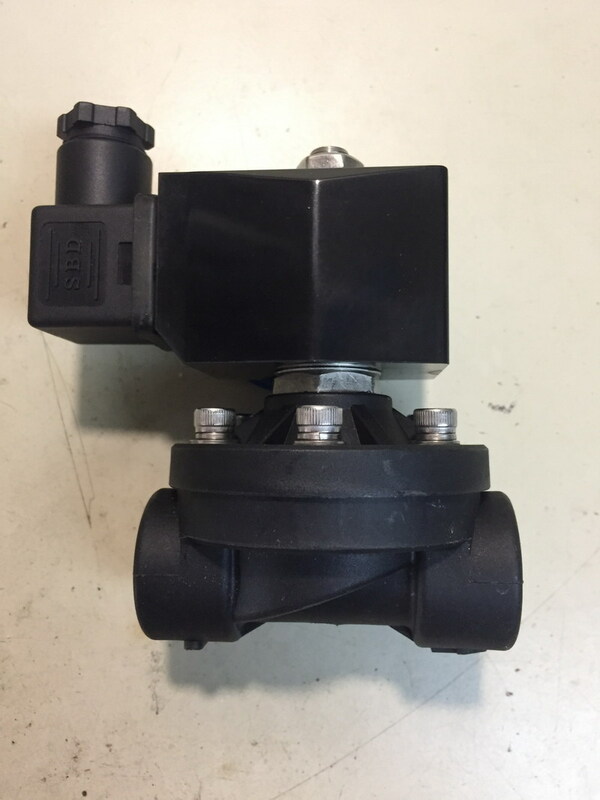 Using a solenoid valve means connecting your tank to an endless supply of water, therefore some type of fail-safe protection is recommended. 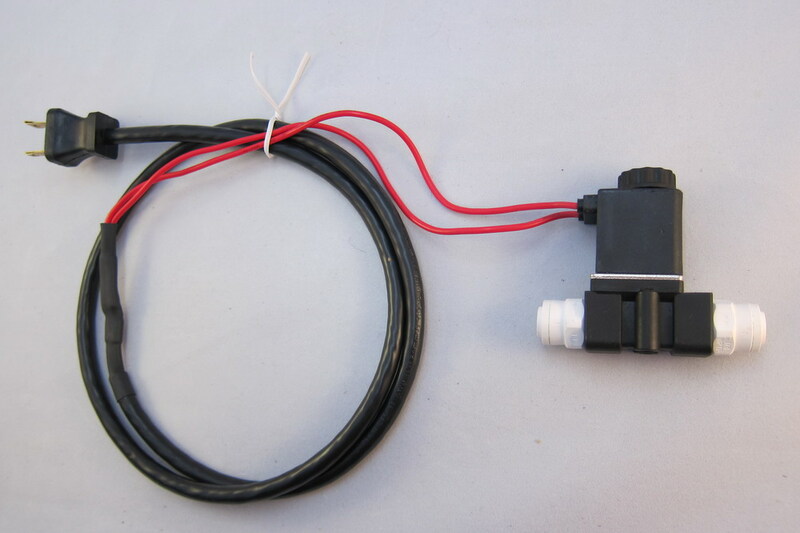 Use a double switch controller instead of a single or two single switch controllers in series instead of a double, two solenoid valves in series, a mechanical float valve as a backup to the solenoid valve, a timer to limit the ATO so it only runs for a few minutes a few times per day, a water alarm to alert you if a water is detected on your floor, a flowlok to shutoff the water if water is detected on your floor, etc. 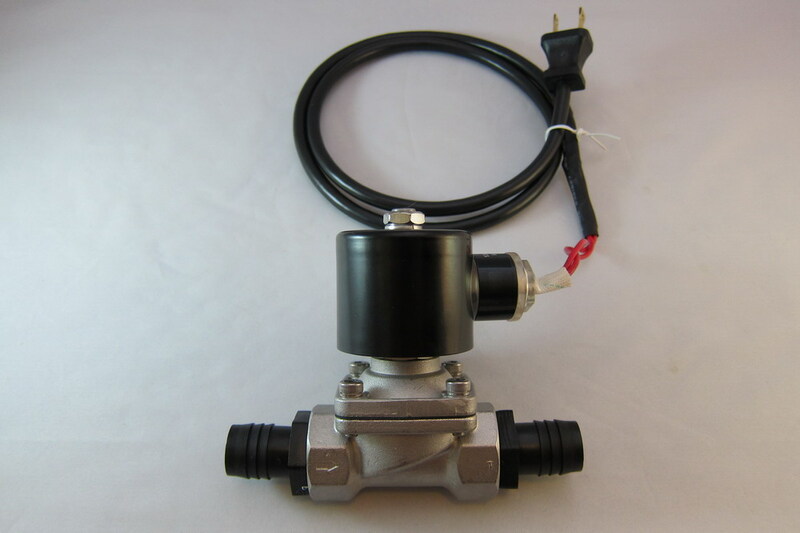 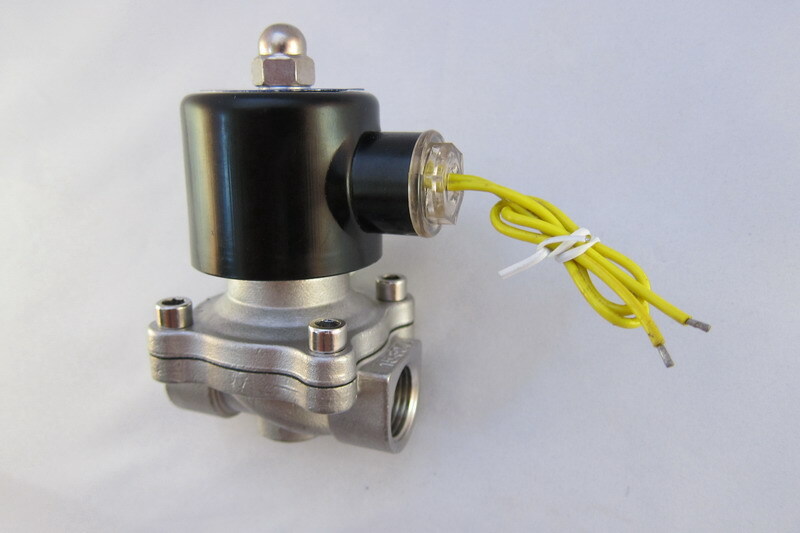 0-150 psi, 1/4" Ports, 0.098" orifice, 0.23 Cv value, stainless body w/ stainless parts, 3 foot power cord.